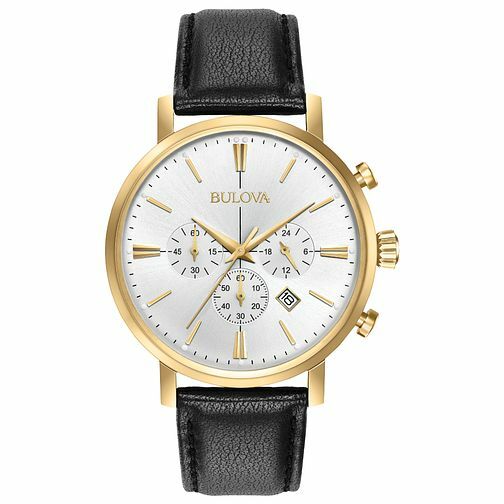 Introducing this smart men's model from the Bulova Classic collection. Six-hand chronograph function is offered within a gold tone stainless steel case upon a silver-white dial. Double-domed mineral glass is boasted. This timepiece is complete with a smooth grain black leather strap with three-piece buckle closure, classic style for the modern gent.